Very well played, production smooth. I think one of the best Disney movies I've ever seen. The fact that their are so many talented Young Adults with a future ahead of them. They got a lot coming towards them. Perfect story line, it shows some drama, great climax point during the story. The filming was excellent. Music writers for the song has great ambition and strong, and moving. Check out the movie on Disney channel. 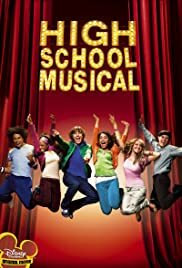 I think the movie was well played because not only that beautiful actors were in the movie, is that because the director Kenny Ortega has been experience through all his other shows. In the movie Choreography takes a big factor into the dancing scenes. One thing that they forgot was to put more background into the 2 main characters, played by Zac and Vanessa. They should of added more about their family's, and where their from but otherwise it was amazing. I highly recommend this movie to anyone out there, if you love music, beautiful actors, great choreography this movie is meant for you! 59 of 109 people found this review helpful. Was this review helpful to you?